Hi, everyone! It's time for another Around the House challenge at Everything But the Kitchen Sink! Our hostess this month is Winter, and she has chosen hair accessories as our item. 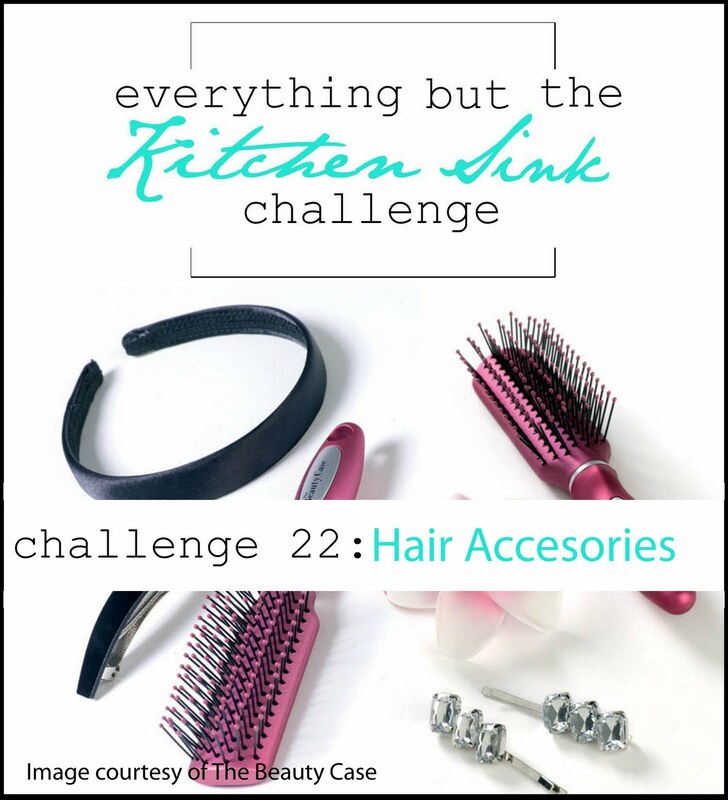 So search around for pins, clips, ribbons, etc...whatever you can find around the house...and play along with us! This month our sponsor is Some Odd Girl! They have some really quirky, fun digital images that I know you all will just love! Our winner will receive 3 digi images of their choice. The DT was fortunate to have free digis to work with for this challenge. I chose this adorable image called "Cloud Buddies" and paired it with some more of my new Echo Park papers and a sentiment from Papertrey. My hair accessory is the ribbon...it's from my neighbor's daughter who's on a dance team...she always wears those giant ribbon creations in her hair. She let me deconstruct one of them...I just ironed it out, and I think it looks great on my card. So, ready to join us? Just link up your finished creation on the EBTKS blog by midnight on Wed., Sept. 8 to be eligible for the prize. I can't wait to see all your hair-tastic creations! This is so adorable. Great way to use this challenge and love the google eyes. This is darling!! I love the raindrops and clouds, but then the googly eyes, how CUTE!! Such a sweet card, love the idea to use hair accessories! Would it be cheating to suggest I use grosgrain ribbon in my hair everyday?! LOL! What cute, colored raindrops with your happy clouds. Totally adorable! Great take on the challenge! Would hair dye count? Really, who can resist a pair of googly eyes?? ?